Christmas season is here. For sure, every company will have their Christmas party. Planning for a Christmas party is one of the most exciting agenda in company meetings nowadays. It happens only once in a year and it has to be decided by a majority vote – firstly, as to where the party should happen. Thus, options should be considered and presented during the company meeting for the team to decide on the best among the available ones. Choosing a venue for your company’s Christmas party is the one decision that will have the largest impact on the party’s success. The date, theme, catering options, and your attendees’ experiences are all partly affected by which venue you choose. 1. 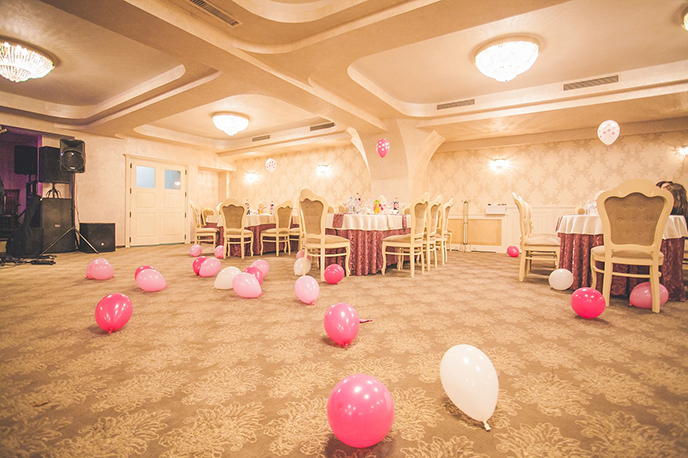 Location – Look for a venue that is accessible and with reasonable distance. Going to somewhere quite far might discourage some from attending. Make sure that if the venue requires them to go out of town, the place offers a unique experience for everyone. If it is someplace new, make sure to provide the attendees driving directions and traffic information at their fingertips. Lastly, and probably the most important, consider traffic, transportation, and parking options. 2. Accommodation – Make sure everyone will be comfortable at the venue. Get information on the capacity of the room, fire and safety codes, the minimum food and beverage spending amount and the complimentary service they offer. This is important for your company to avail the most the venue offers and also for the management to make necessary adjustments. 3. Services and Amenities – Check the food in advance. Verify if you will be allowed to bring food. If you decide to just rent a place, make sure that everyone will be provided with tables and chairs. You should also consider a venue that provides a setup and cleanup crew, or you will have to build a team for that or ask for volunteers among the attendees. Another important thing to consider is the audio-visual equipment that the place provides; as a party without music is not considered a party at all. 4. Layout – Depending on your Christmas party’s theme, make sure that the venue allows you do the activities that you are planning to do. Check the outlets and where the AV equipment will be set up. Pay attention also to the kind of ambiance the place offers or you will have a need for some decorating. 5. Cost and Flexibility – Being able to negotiate with the cost and event day is a plus factor for a particular venue. Check out the entire possible venue in the area to get more options. As based on experience, the more flexible the venue, the more likely you will get a discounted price. Some would say that it does not matter where the party is happening; it is the people you are with that makes the event memorable. But then, food, comfort and ambiance offered by the venue are the things that make the party enjoyable – therefore making it memorable.